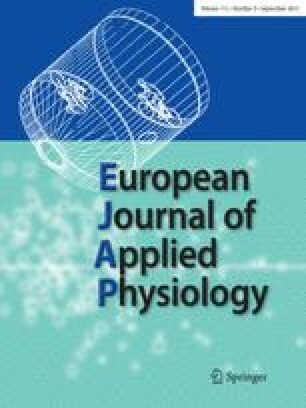 Plasma glucagon, adrenaline, noradrenaline, insulin and glucose concentrations were measured in 7 healthy young males during hyperthermia in a sauna bath: plasma glucagon levels increased from baseline values of 127.0±12.9 (SEM) pg · ml−1 to a maximum of 173.6±16.1 (SEM) pg · ml−1 at the 20th min of exposure. No change in plasma insulin and a slight increase in plasma glucose concentration were seen. Since a concomitant moderate increase in plasma catecholamine levels was also present, the adrenergic stimulus is believed to trigger glucagon release during hyperthermia. Diminished visceral blood flow, known to occur in sauna baths, may cause a decrease in the degradation of plasma glucagon and thus contribute to the elevated plasma glucagon levels.